Even though it’s a shorter month, with so many February play and learn activities it’s a very exciting one. It starts with International Ice Cream for Breakfast Day and then, we watch to see if the Groundhog sees his shadow or not. The Super Bowl inspires lots of fun with throwing, catching, and kicking a ball. Valentine’s Day inspires kindness and friendship. That only takes us to the middle of the month. There’s more to come. 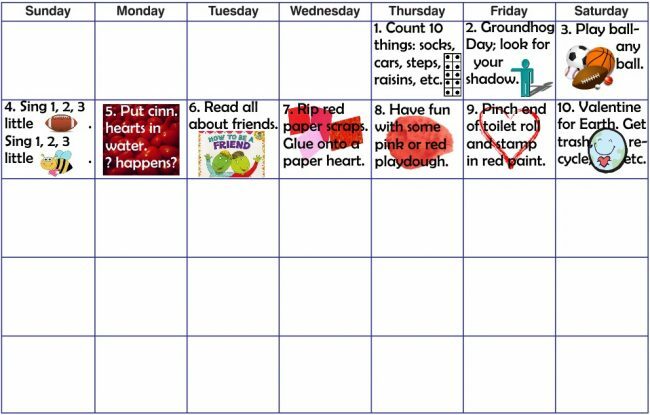 Here’s a calendar of February play and learn activities to start. Yours in play, Mrs. A. 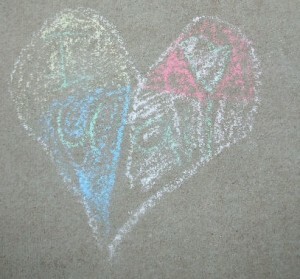 A Valentine from PLAY to Kids: How Does Your Child Play? Did your child get any valentines? This is a rather unusual one, it’s a valentine from PLAY to a child. 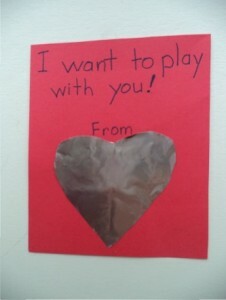 The valentine says, “I want to play with you!” In the part that says ‘From’, instead of a name, there is a mirror made out of foil and shaped like a heart. 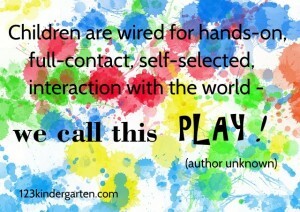 The message is that play comes from the inside, not from a toy, not from somebody else, but from within the child. According to an unknown expert, “Children are wired for hands-on, full-contact, self-selected interaction with the world.” This is a great description of play and it’s reassuring to know that it’s built right in. Much of what children do as play is to imitate what they see the adults around them doing. This could be talking and texting on the phone, looking at a book, stirring with a spoon, scribbling on a paper, putting things in a drawer, driving in a car, snuggling a baby, and more. Some of their play is, of course, things that they Never see us doing, like throwing a toothbrush in the toilet, coloring on the walls, or throwing the car keys in the trash. Any of that sound familiar? We can not impose play on kids, but we can encourage it. Kids often will look to us for recognition. This could be a smile and a few words. It might be a question that invites them to tell or show us more. We may even play with them for awhile. For instance, we may kick a ball back and forth in the yard, sip an imaginary cup of tea, or build with blocks. Toys are part of play, but children will play without them. Sometimes, their play becomes more creative when they have to make do with what they have or imagine what they want. In the next series of posts, I’d like to explore ways that kids play. While we can’t look inside, we can see what’s happening on the outside and get ideas about their play. Can you and your child come out to play? Consider this another valentine from play. Part of the fun of any holiday or event is being able to enjoy favorites and that goes for Valentine story books for kids. It’s time to share well-loved books and read new ones. 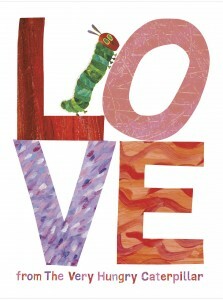 A new Valentine story book that’s only been out for a few months is Love from The Very Hungry Caterpillar. Eric Carle uses some of the wonderful illustrations from his earlier book and adds some special details. “You are the cherry on my cake,” has a delicious looking piece of chocolate cake complete with cherry. Yes, the caterpillar still eats a hole but that’s part of the special message. 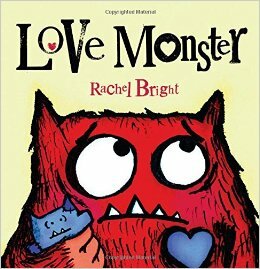 A couple of years ago, we made monster Valentines with googly eyes that said, “I only have eyes for you.” The book Love Monster by Rachel Bright would have been fun to read at the same time. Being a monster, it’s not so easy to be loved, like kittens and puppies. Monster goes out to look for love. Parts of the text invite kids to enter right in and finish the sentences. A fun story, we can all relate to times when we didn’t feel lovable but still wanted to someone to think we were special. 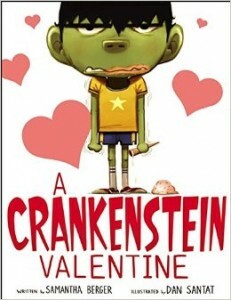 A Crankenstein Valentine, by Samantha Berger, is another great story about feelings and friendship. Crankestein isn’t at all impressed by Valentine’s Day. In fact, his most frequent response is “Yech.” There’s only one thing that he would like at all—an understanding friend. This is a good story for a conversation with kids about what makes a friend. 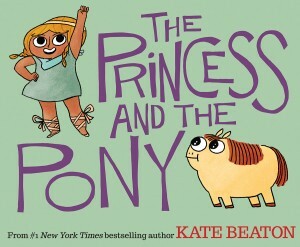 Kate Beaton’s, The Princess and the Pony, isn’t a Valentine’s story. Instead, it’s about Viking warriors and battles. Princess Pony wants a warrior horse, but ends up with a roly-poly present that farts too much. However, the pony is a force to be reckoned with. Besides these stories, we’ll be checking out some of our old favorites too. Are there some other Valentine story books for kids that are well-loved at your house?